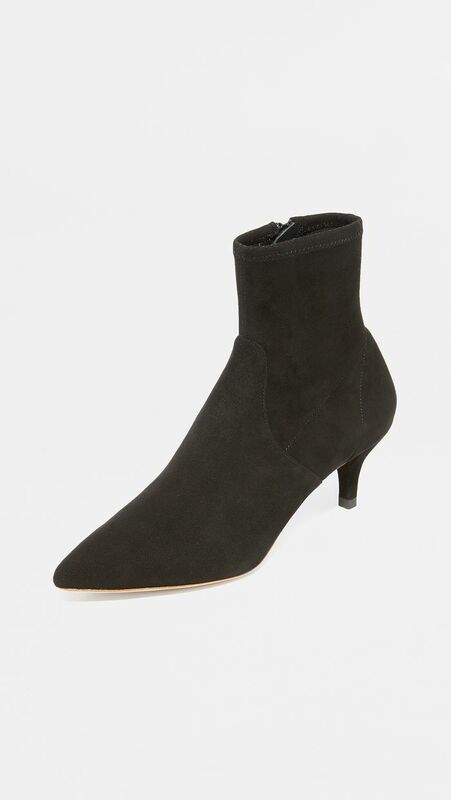 Suede boots move in and out of the trend spotlight from year to year, which means we'll always have the style staple in our wardrobes, whether it be via itty-bitty ankle boots or ultra-high over-the-knee pairs. 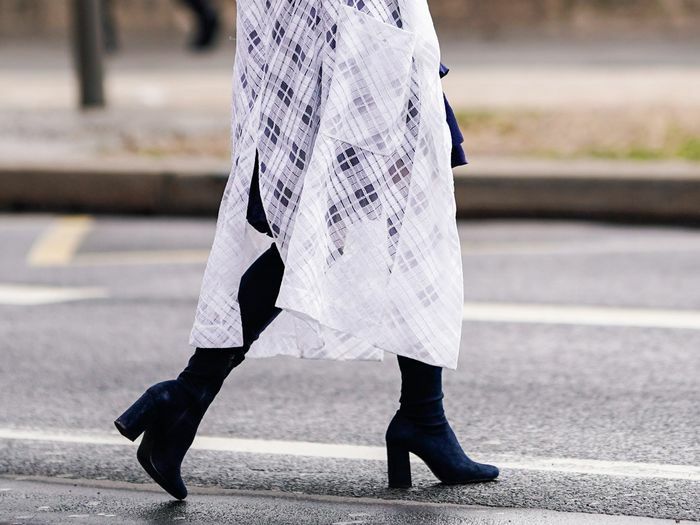 When we spot them on our favorite street style stars, they make it look so easy to tromp around in the beautiful footwear, which is a feat in itself. But there's a whole other aspect of wearing suede boots rarely spoken of: how to care for them. We've already gone over how to clean white sneakers, but now it's time to discuss suede boots. Cleaning suede can be quite the ordeal because if you do it wrong, you could ruin your beloved booties. But if you do it right, you ensure that your beautiful boots reach their maximum potential lifespan and remain in pristine condition through hundreds of wears. With a few of the following tips and tricks in mind, you'll set yourself up for a lifetime guarantee of spotless suede boots. Keep reading to find out how to clean suede boots with everyday household items—because it's so much easier than you think. Invest in a suede-cleaning brush. First things first: You can clean your suede without a proper suede-cleaning brush, but investing in one is probably the wiser choice. They only run about $7 on Amazon. If you're in a pinch, an old toothbrush or any kind of soft-bristled brush will do the trick. When using one to clean your shoes, be sure to brush only in the direction of the fibers, and avoid moving the brush back and forth over the surface. Because even a bit of moisture can leave a permanent stain on suede, be sure your boots are completely dry when you go to brush them. Put crumpled paper inside before cleaning. Okay, this should be considered a pre-step, but nonetheless, it's important in the "how to" of cleaning suede shoes. Before you even begin the cleaning process, put enough crumpled paper (like a newspaper or used computer paper) inside the shoes so they keep their natural shape while you go to work on them. This will help toughen up suede's naturally soft, supple material to make it easier to clean the more stubborn spots. For really tough grime, use white vinegar. If you have some even tougher stains on your shoes, like salt, food, or wine, pour a little white vinegar on a clean cloth, and gently wipe the affected areas. Apply the vinegar on the stained area first and then let it dry. Finally, rub with a suede brush to get those tough stains out. Remove stains with an eraser. Brushing and wiping down the shoes sometimes won't remove all the marks. If you do notice any stains, get yourself a suede eraser (again, they're $7 on Amazon), and gently rub off any water, oil, or grease. Apply a bit of pressure as your rub and increase as needed for tougher stains. If a suede eraser isn't available, you can also use a pencil eraser. Simple! Rub the surface of your shoes with a clean bath towel. After removing excess dirt clumps with your new, handy suede-cleaning brush, gently rub the shoes with a clean bath towel. No water, nothing, only a clean, soft bath towel to wipe them down and remove any unseen layers of dust, etc. Again, remember to wipe in the direction of the grain and avoid any vigorous back and forth motion.